You are here: Home ∼ 2013 ∼ August ∼ Meteorite or meteorwrong? Occasionally, our house regurgitates something that one of us have found and brought home. Yesterday, it unearthed this object that my wife found whilst we were ‘out and about’ once. We can’t remember where she found it but it could have been a beach. It’s a heavy ‘metallic’ pebble type object – it feels too heavy to be made of stone. It is very hard, it is not magnetic (or if it is, it’s very subtly so – a fridge magnet doesn’t stick to it) and it’s mainly black in appearance, mottled with red and grey and has an irregular smooth appearance and feel. It looks like it was once malleable, or molten. Our first reaction was that it might be a meteorite. 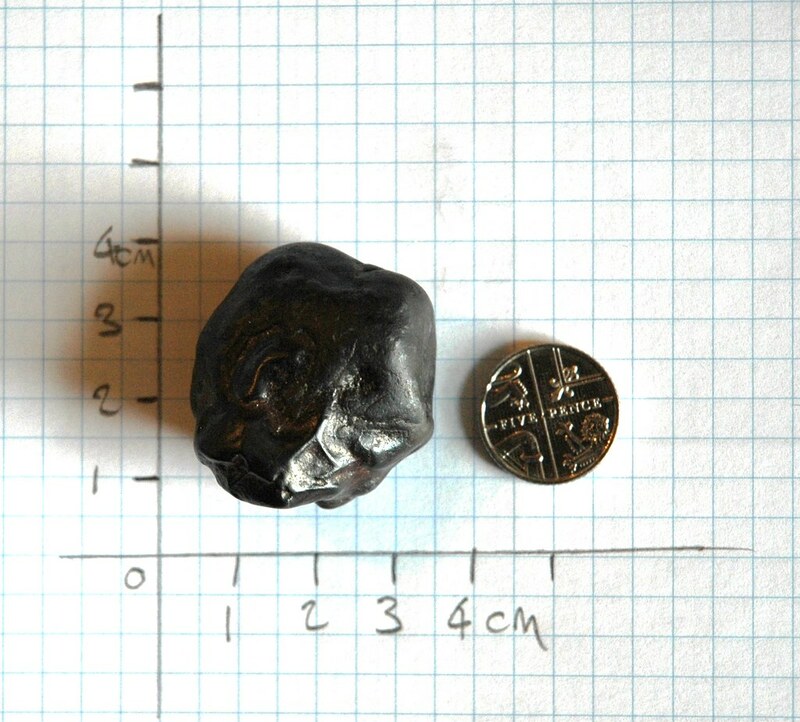 After a fair chunk of research on that there internet, I’d now say it looks more like a meteorwrong than a meteorite. Some of the ‘expert’ sites out there suggest that if it is weighted like metal and it is not magnetic then it’s unlikely to be a meteorite. However, it’s form is quite meteoric, indeed due to it’s close match to the formation known as Regmaglypts – small indentations that look like the sort of thumb prints you get in Plasticine. A fairly conclusive sounding test called ‘The Streak Test’ proved to be quite meteorite damning though. The Streak Test involves vigorously rubbing the object on the back of a ceramic tile (none to hand, the inside lid of toilet sufficed). According to the University of New Mexico’s Department of Earth and Planetary Sciences “If it leaves a black gray streak the sample is almost certainly magnetite, and if it leaves a red-brown streak it is almost certainly hematite. 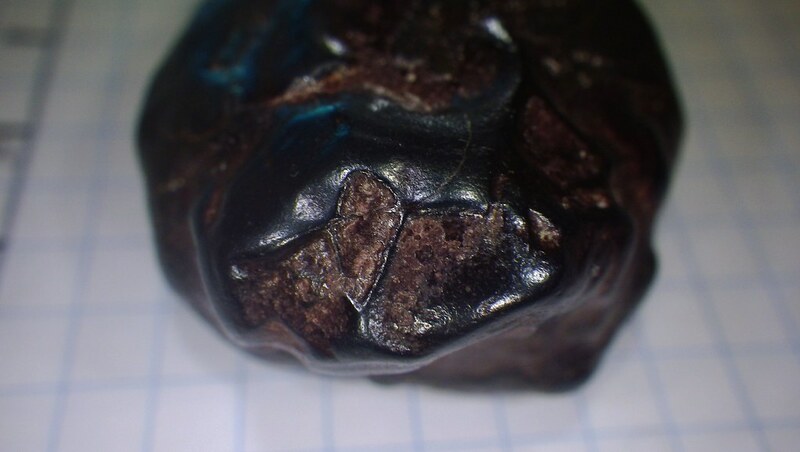 A meteorite, unless it is very heavily weathered, will not leave a streak on the tile.” Our little fella left a distinctly red-brown streak, therefore it is almost certainly hematite. 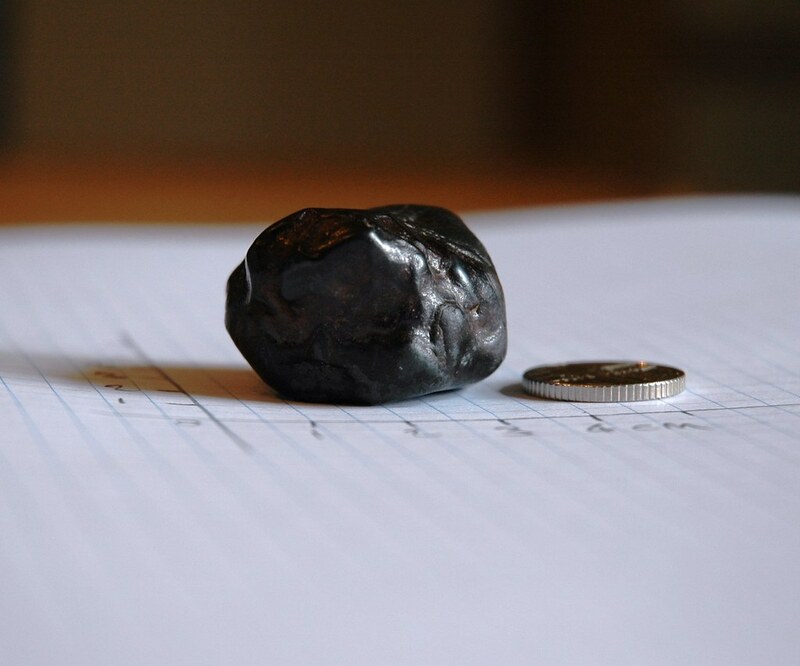 Bit of a shame, but on the plus side, I now know a lot more about meteorites than I did and, eyes down as well as up, I’ll be looking out for them. If I can ever find one that looks like the Esquel Pallasite meteorite as pictured below, I’ll be a happy man. Pallasite meteorite (from the Esquel fall) This is a file from the Wikimedia Commons. Click image for further image details. 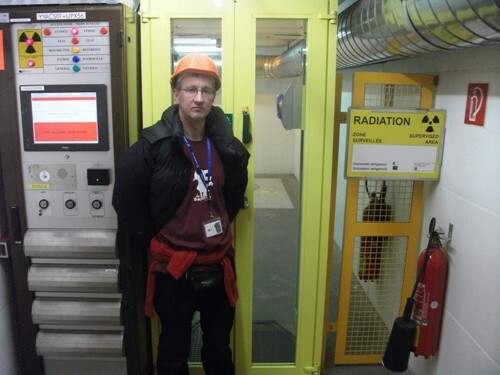 I emailed my friend Conor (stood here in a DragonDrop Club Shirt at The Large Hadron Collider, CERN) – an actual scientist for a translation. “…above which it is paramagnetic.” – above which it can be attracted to magnet, but is not itself magnetic. I can email my friends at the National Space Centre and see if any amongst them can help identify it. It would be of great interest to me (and possibly, the readers of DragonDrop) if we had input from people at NSC! Magnet wont stick to your object but I would bet that a neodymium rare earth magnet would stick. It barely attractive 2% iron. if attracts and stick hard then maybe 20% iron.